A while ago I received this awesome CuteZcute Mini Pocket Sandwich Maker from All Things For Sale a while back and am just getting around to using it for the first time. Not sure what took me so long as much like the original CuteZcute, it’s super easy to use and fun for the kids. I was able to cut three mini sammies from the bread which is perfect for a lunch box. 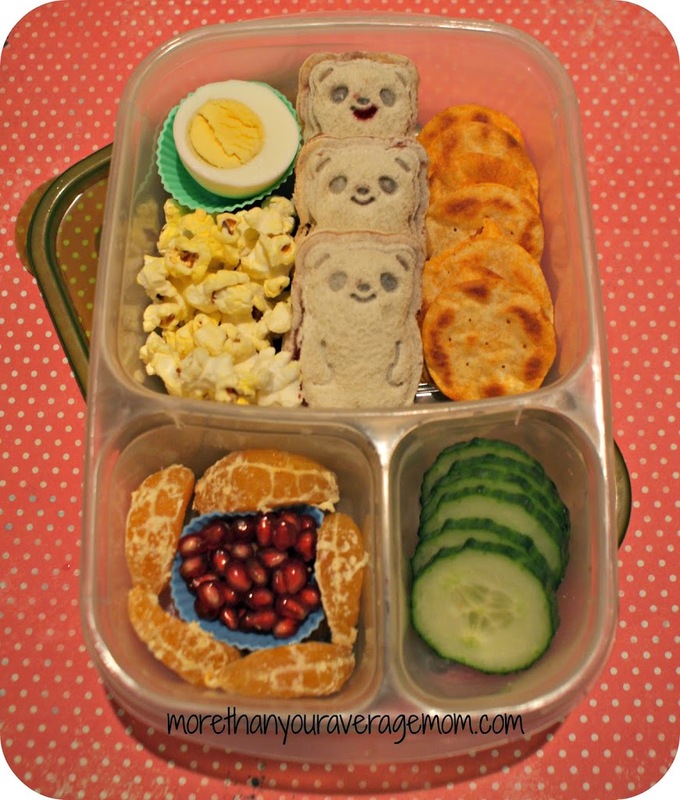 The kids lunches today consist of Wow Butter and jelly sammies, orange slices, pomegranate seeds, cucumber, crackers, half an egg, and popcorn all packed in our EasyLunchBoxes. So cute! I had no idea there were mini sandwich makers! Love this idea! You bet!! They’re multi use too! You can use them as cookie cutters or egg molds as well. So much fun! This is so cute! My daughter would love to open up her lunch box and find these! So cute!!! I am sure my kids would love this! 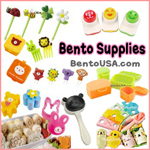 I always make a point to get more bento stuff, what site do you use? I love your panda bento.